In line with reflecting on experiences, I developed a list of questions and a board game (I love using board games in my classrooms of all ages from elementary to graduate level!) 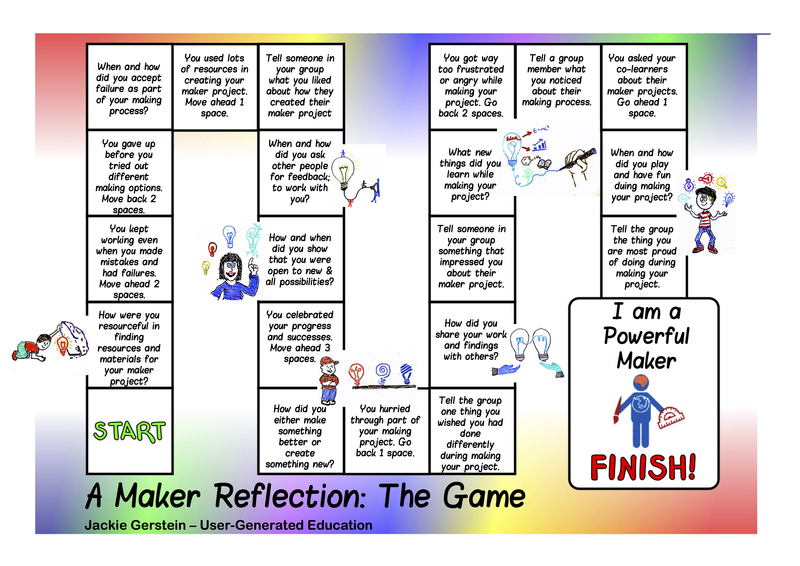 to help with reflecting on the maker process following the completion of maker projects. 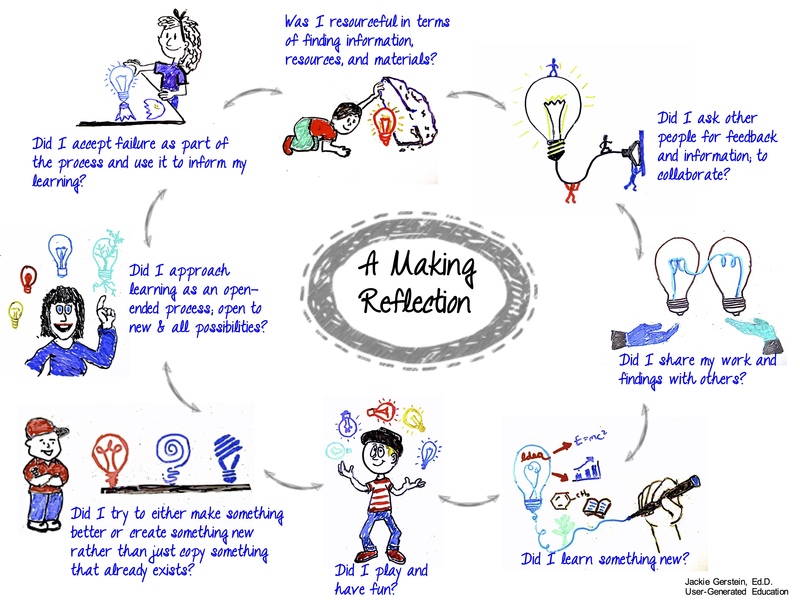 The purpose of these tools is to increase the possible learning and insights that learners extract from their maker projects. Thanks, Jackie, these are great. I am sitting here correcting some senior level practice exam papers which have not been tackled well by my students. I think I can draw on some of these concepts to move them forward – probably not the type of use you would have anticipated! Great – any application of my ideas works for me! Thanks! These are fantastic. I have adapted them for use with my first year college students. Hi Jackie, This is perfect for me right now. I have been giving feedforward to my students for a practice practical assessment and am needing other ways to get them to reflect on what they have done well and how they can improve. The board game idea is perfect. Thanks so much for sharing. I find all of your working interesting, well thought out and ultimately useful to support learning.